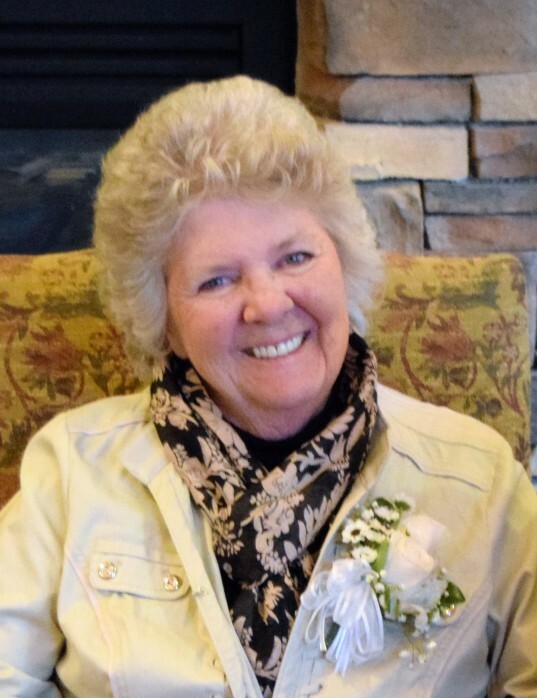 LoNita Andersen Norris, 81 passed away Sunday, April 8, 2018 at the University of Utah Hospital surrounded by family. She was born in Logan, Utah the daughter of Clinton L and Elva J Andersen. She grew up in Hyrum, Utah graduating from South Cache High Class of 1953. LoNita married RoyDel Norris in Elko, Nevada March 17, 1958. From this union they had three children, Stewart, Jodie and Angie. She began her career at Mountain Bell as a switchboard operator and excelled quickly to management retiring from US West Communications as a supervisor. She was also involved with the Telephone Pioneers and dedicated many hours volunteering. After retirement she pursued her hobbies in interior design and started her business, enjoying the people and businesses she served. Her favorite pastime was spending time with family and friends, fishing, and traveling. She was a member of the North Ogden 10th LDS Ward. Surviving are her children, Stewart (Sheri) Norris, Jodie (Fred) Hoskins, and Angie Norris, six grandchildren, seven great-grandchildren and one on the way. She is also survived by her brother, Bruce Andersen; sister, Marie (Lynn) Morris; and many nieces and nephews. Her husband, RoyDel Norris; her parents, Clinton L and Elva J Andersen; her stepmother, Jean Andersen; and her sisters, Sue Jean Christensen and Elaine Cook preceded her in death. The family is grateful that mom is free of the bonds of 13 years of Alzheimer’s. In lieu of flowers donations can be made in LoNita’s honor to the University of Utah burn camp located online at https://healthcare.utah.edu/foundation/give.php. Graveside services will be held on Saturday, April 14, 2018 at 2 p.m. at the Paradise Cemetery, with Brother Keith D. Preece of the Pleasant View 10th Ward officiating. Friends may visit with family with family prayer following on Friday from 6 to 8 p.m. at Lindquist’s Ogden Mortuary, 3408 Washington Blvd.